Are you tired of life kicking you in the face every time you turn around? Life is so chaotic and it seems like there is always something coming up that you didn’t expect or plan for. Planning out your budget can help reduce the stress and overwhelm with an emergency pops up. It allows you to actually save money and pay off debt. Plus you get to have guilt-free fun on a budget. I know I know that sounds like a fairy tale but it’s true. Having a budget allows you to have fund without guilt, save money and pay off debt. This budgeting for beginners guide will help you get started along with these free monthly budgeting templates. What are the benefits to using a budget template? Personal Capital- My New Favorite Money App! 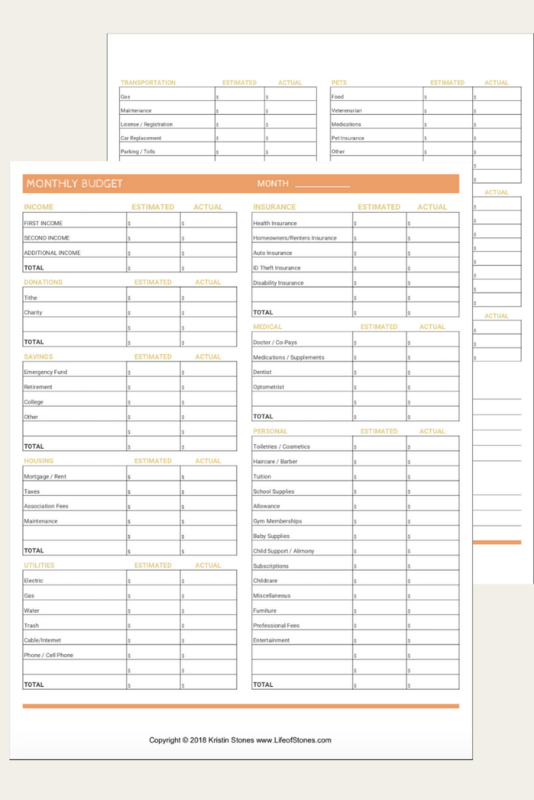 A budget template is a simple way to make your monthly budget. It makes it standardized and easy to transfer your budget categories and amounts over from month to month. It makes budgeting easier so you will actually stick to it. Your budget template does not have to be written down on paper (even though that’s what I recommend). It can be a spreadsheet or on an app. Find what works for you and your family and use it. That is really the most important thing. 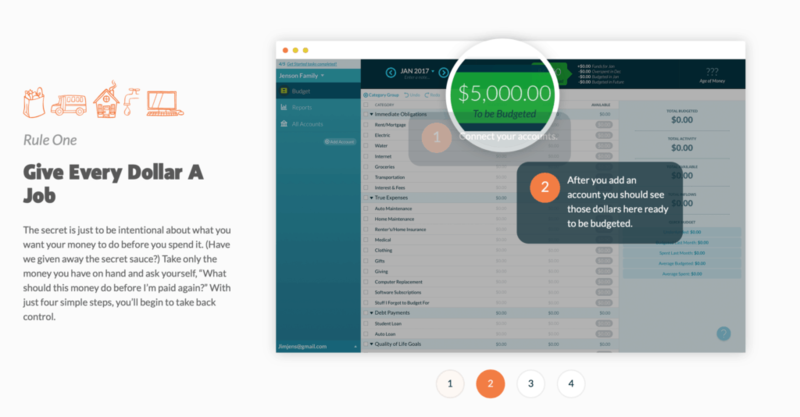 It makes budgeting simple and easy! It provides a standardized way to categorizing your budget so that you do not forget important budget categories. Most of the time, the reason it’s hard to stick to your budget is because something comes up that you didn’t expect. When you can plan for things you typically forget, it makes it easier to stick to your budget. Remember to find the template that works best for your family and use it. It doesn’t do you any good if you don’t actually put it to work. I recommend writing out your budget especially at first then moving to a budgeting app or spreadsheet. Budgeting apps are fine if it helps your budget work for you. But writing out your budget helps you be more accountable to it and stick to it. Studies have shown that you are 1.5 times more likely to achieve a goal by writing it down. A budget is simple a goal for your money. So, writing it down makes you more likely to stick to your budget. 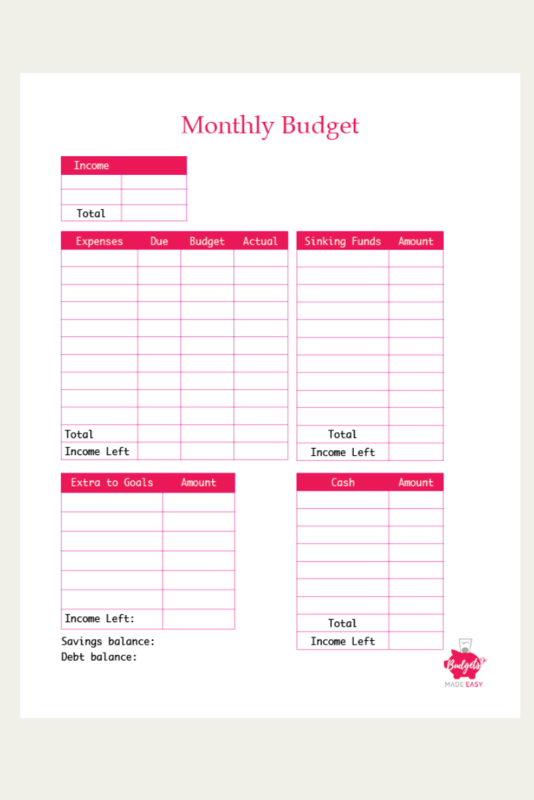 This is a free printable monthly budget template that is easy to use. It is made to be used with a zero-based budget so that every dollar you earn works for you. Basically, on paper, you want to allocate every single dollar that you earn. So it will look like you have zero dollars left. Once you allocate for everything you need, expenses, food, gas, sinking funds, and cash envelopes, everything leftover goes toward your goals. Those goals can be your emergency savings fund, paying off debt, or something else you want to save up for. You can also sign up for my free budgeting course that will help you make your budget with step-by-step directions. 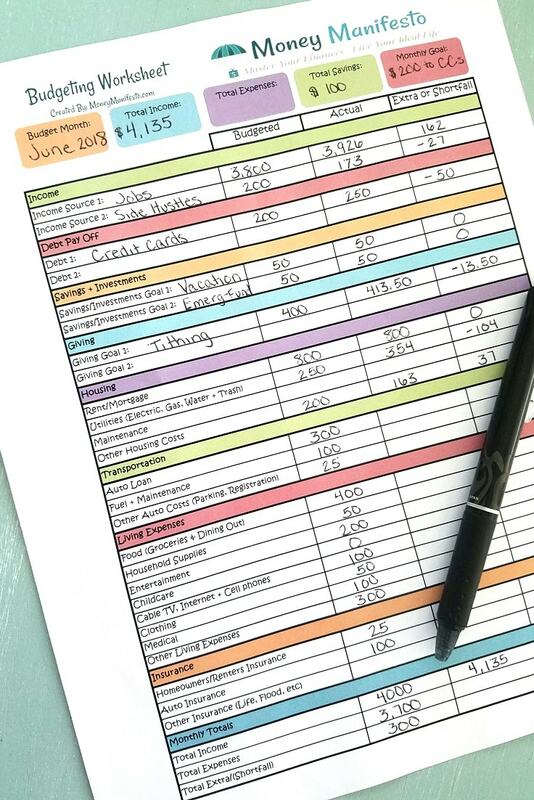 This free printable budget worksheet will help you track your budgeting goals plus they include step-by-step directions on how to fill it out. I am a Ramsey Solution Master Financial Coach and part of coaching people is giving them Dave Ramsey’s forms. Here is his budgeting form. You can get all of the Dave Ramsey budgeting forms here for free. It’s cute and easy to follow. 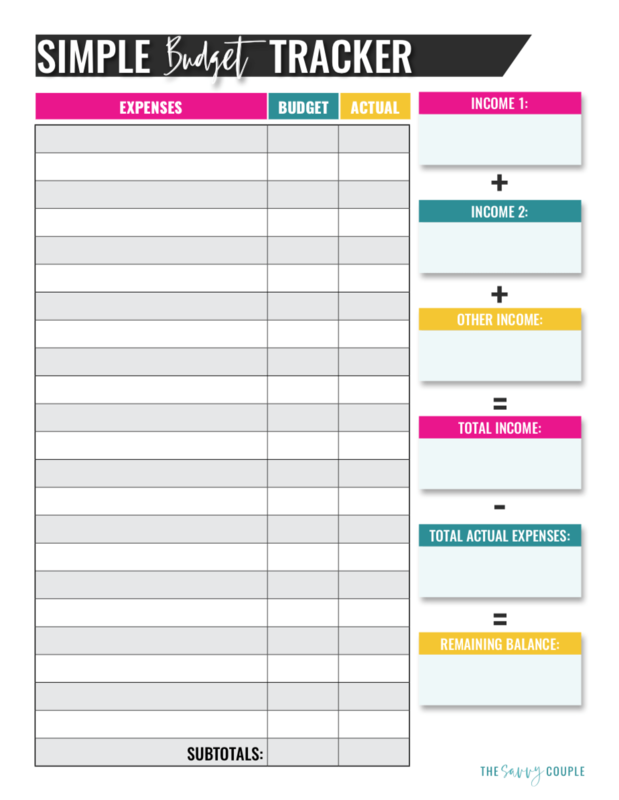 This budget template is simple and easy to use to make your budget work for you. 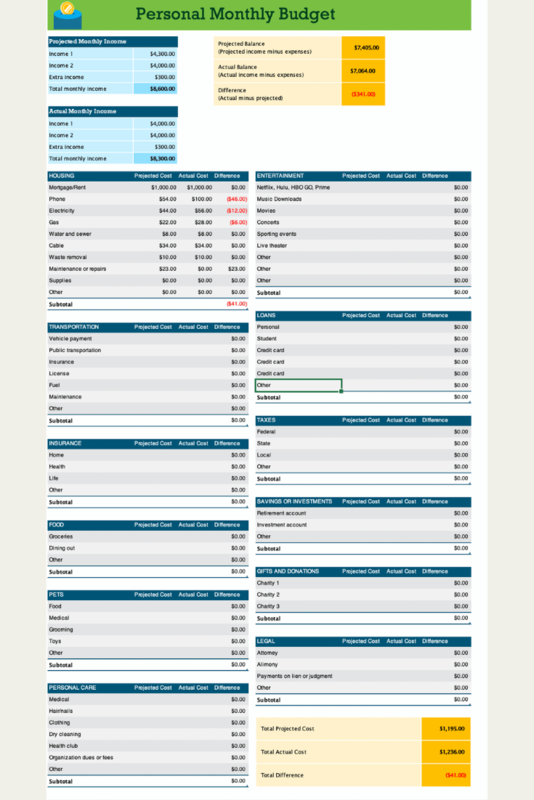 Financialdemics’ budget template is detailed and will help you remember easily forgotten categories. 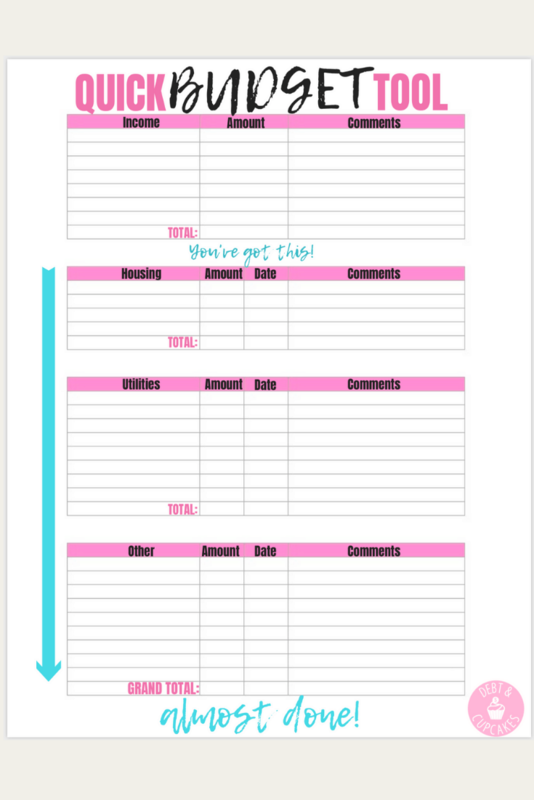 Learn how to budget and get her free printable worksheet here. She also offers a free resource library where you can download other printables that she offers. 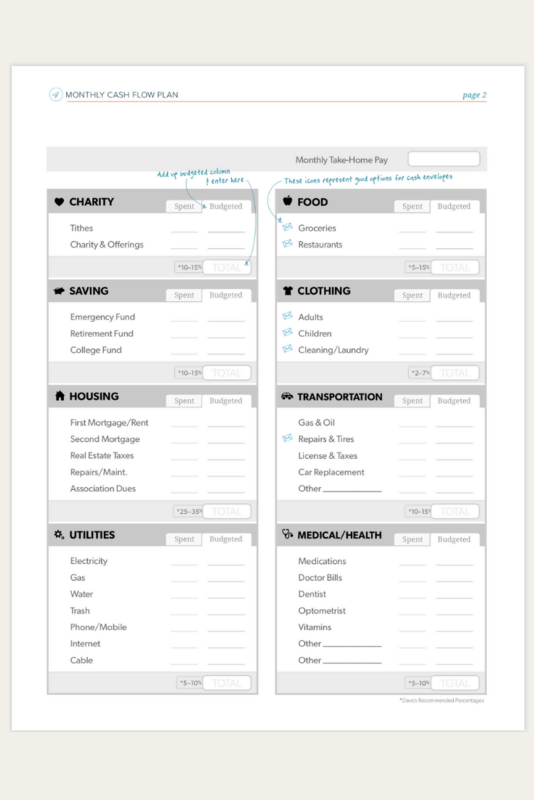 This will make it easier to layout your budget and see which categories you can save money. 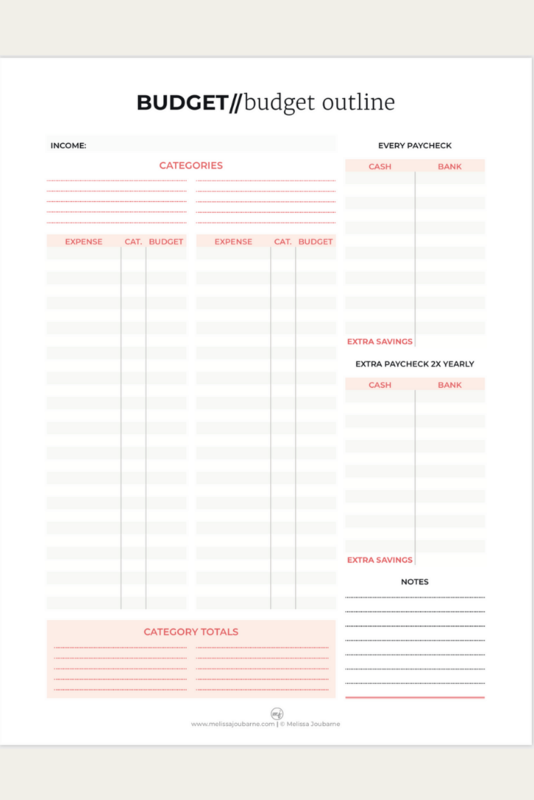 This workbook has plenty of space to write out your budget categories and send extra money to your savings goals. 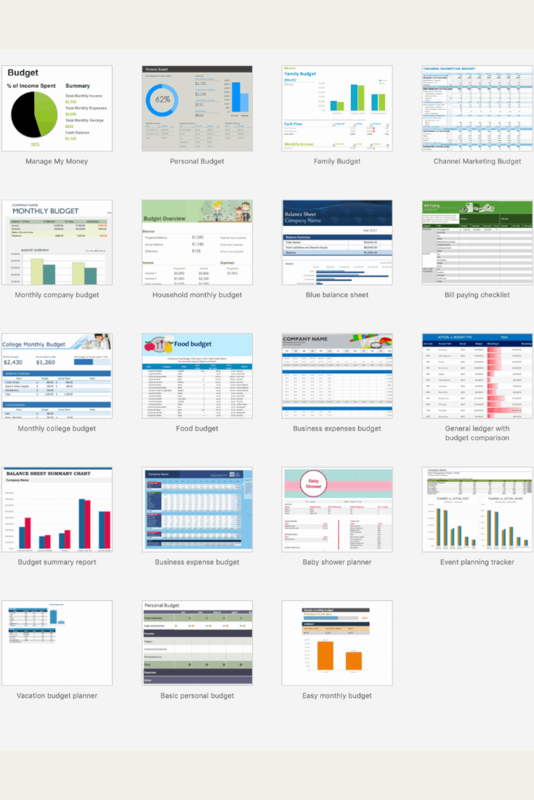 Excel budget templates make using your budget spreadsheet so much easier. The templates are already formulated and you don’t have to create all the tables. Once you get the hang of your budget and writing it down, it will be easier to move it to a spreadsheet. Like I said before, writing it down helps you achieve your goals so I would still recommend writing it out at first. I personally do both. I like to write it out and I like using a spreadsheet to play around with the numbers. I also use a budgeting app to help track my investments, spending, and net worth. So there is nothing wrong with using a combination of templates. 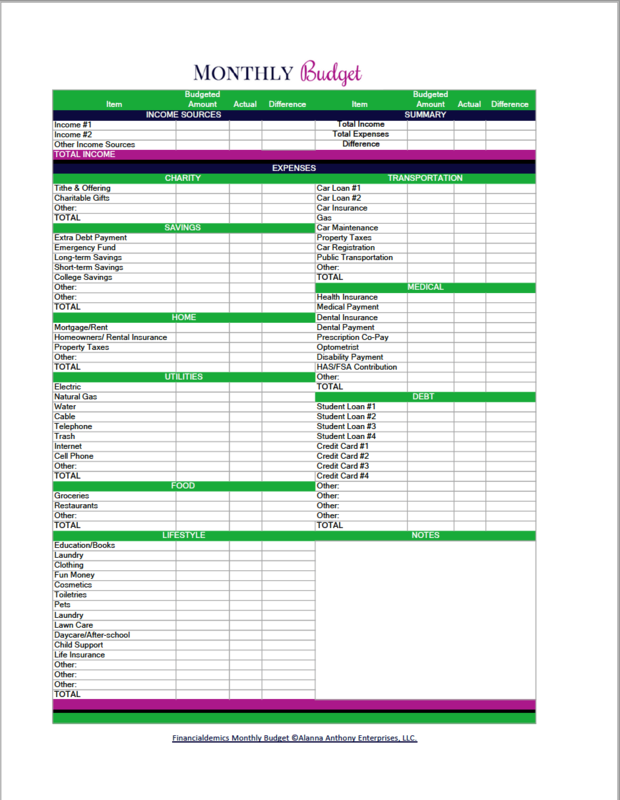 This template is for making your budget in excel. Get his step by step instructions and make your budget easier when the formulas are already in place. I like a budget in excel because I can adjust the numbers easier than on paper. Plus I don’t have to worry about calculating something wrong. You can get numerous excel budget templates by going to Microsoft Office or opening “new from template” in Excel. Budgeting apps are more convenient than pen and paper or even a spreadsheet since you can carry it everywhere with you on your phone. You still have to set it up and make sure you are tracking your spending so you don’t go over your budget. What I personally do not like about using an app is that you can’t break the budget down into paychecks. I do a monthly budget and a budget for each paycheck. Knowing what is left for the month overall doesn’t help me know when to pay which bills. I also find that the way that I pay my bills, the apps think I pay some things twice in a month and it messes up the tracking. It thinks I spent more than I made each month. They also don’t carry your balance forward. So, if you had money left from the previous month, it tracks that spending in the new month, and it will look like you overspent. So, there are advantages and disadvantages to using an app as your only way of budgeting. They are all pretty much the same in how they work and what they do. I still recommend using a printable template or spreadsheet in addition to an app. 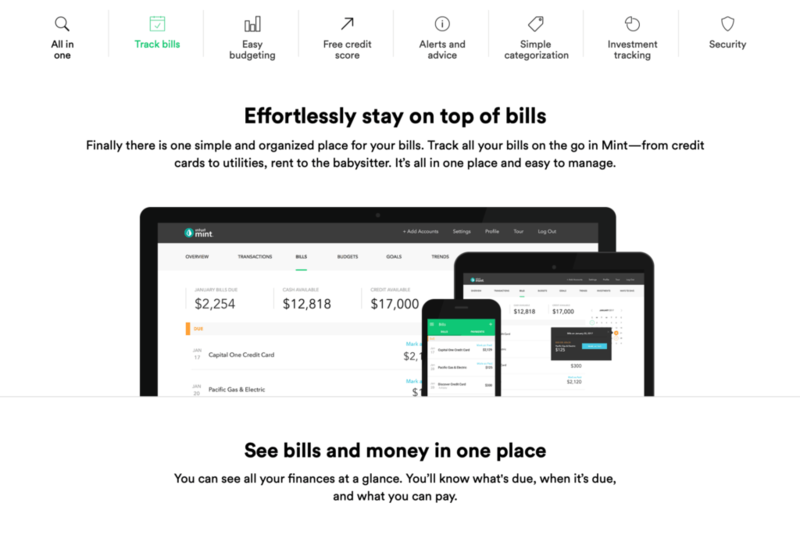 Mint is a budgeting app is easy to use and set up. You can keep track of how much is left in your budget categories at the touch of a button. What I like about Mint is that you can see all your accounts in one place. You can track your savings accounts as well as your credit accounts. Mint will even send you notifications for when a bill is coming due. This will help you avoid late fees! I liked Mint but kept having issues with accounts becoming disconnected and eventually quit using it because I got sick of connecting them. I also didn’t like that I couldn’t do a budget per paycheck. It is free to use this app. You Need A Budget (YNAB) is an app that follows the zero-based budgeting system of giving every dollar a job. This helps you be intentional about every dollar that you earn and make it work for your goals. It will help you stop overspending and actually stick to your budget. It is free for 34 days so you can test it out. Everydollar is Dave Ramsey’s budgeting app and it also follow the zero-based budgeting system. It is free to sign up and get started on your budget. 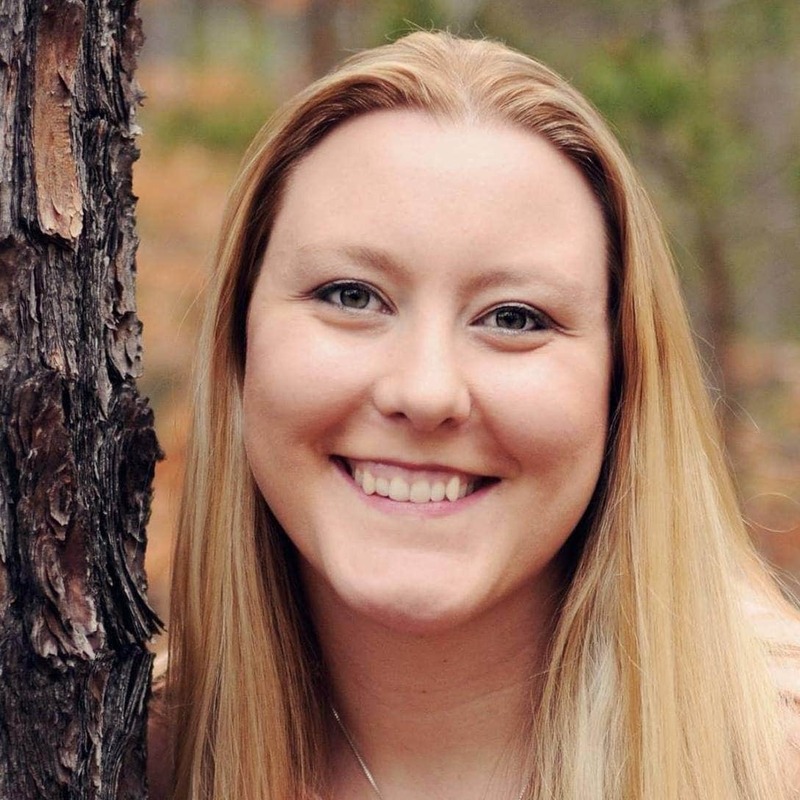 This app allows you to plan every dollar so you can save money and pay off your debt fast! Personal Capital is similar to Mint if you have every used it. It actually works well in conjunction with Mint. This app is great because you can track your spending and categories and see your overall financial snapshot. I really like this app because it helps you with your investments and planning for retirement. I am loving watching my net worth grow and being able to track all of my investments in one place! It is great to use in conjunction with a budget template but it does not replace your budget. The important thing to remember that with a budgeting template, just find one that works for you. Everyone is wired different so find one that works with how you process information. You may even like one app more than another. If you aren’t finding one that works for you, try another. The reevaluate why it’s not working. You can do this and stick to your budget. It takes figuring out your budget which can take up to 90 days. You can also check out the budgeting binder to help you get organized and make your budget work for you. 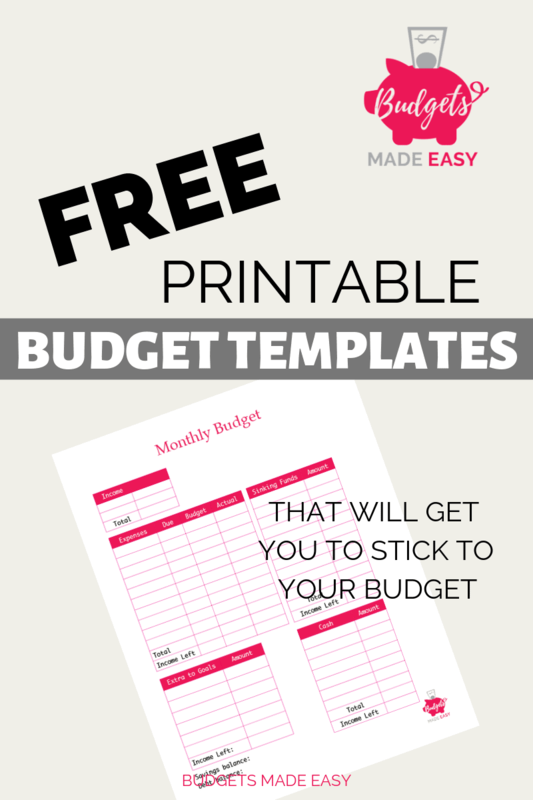 Which budget template is your favorite to use?? « 100+ Frugal Living Tips Anyone Can Do!